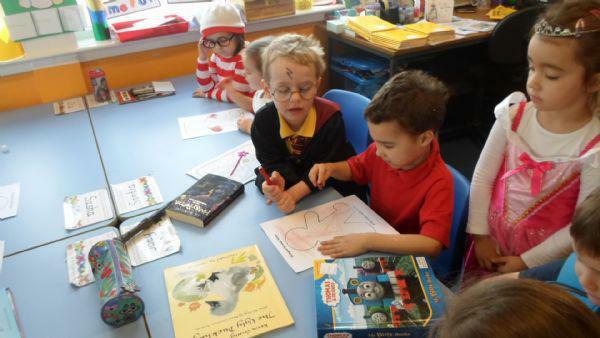 On Thursday 5th March it was World Book Day. We all had a "buddy" from P1 & P1/2 and we took in our favourite book to read. We listened to a story in the infant class, read by the class teacher and then we all went to the hall to read our stories with our "Buddies". We had lots of fun making a gingerbread man in the infant classes. Fun on World Book Day.